The Louisiana Parole Panel denied parole for Princess Potmesil LaCaze last week according to District Attorney Billy Joe Harrington. Harrington, Sheriff Victor Jones Jr. and a member of Michael LaCaze’s family spoke against the parole during a video conference June 14. The parole panel in Baton Rouge met with Lacaze in via videoconferencing from prison. LaCaze was sentenced to 17 years in prison in November of 2017 after pleading guilty to manslaughter in the death of her husband, Michael LaCaze, in 1997. She received credit for the 13 and one-half years she served in the Dept. 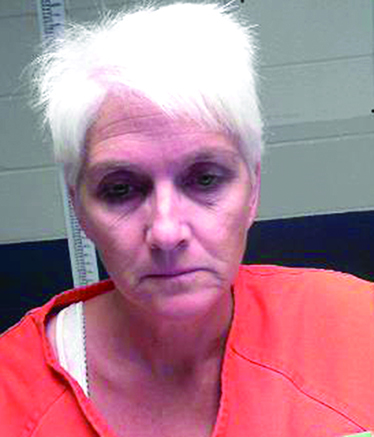 of Corrections after she was convicted of second-degree murder in 1998. She also received credit for time she was jailed in the Parish. On May 1, 1997, Mike LaCaze was watching videos at his home when Meryland Robinson Jr. entered his home and shot him in the shoulder with a 30-30 rifle, killing him. Princess LaCaze was not at home. Robinson was charged with second-degree murder and later received a sentence of 40 years for manslaughter in exchange for his testimony against Princess LaCaze. Trial testimony revealed Robinson and Princess LaCaze were having an extramarital relationship and she enticed him to kill her husband. In August of 1998, defended by Taylor Townsend, LaCaze was found guilty of second-degree murder and sentenced to life imprisonment. Judge Peyton Cunningham Jr. presided. Several appeals were denied but the Fifth Circuit Court of Appeals granted her a new trial in 2011. The basis for the new trial was that the prosecution did not reveal an agreement in which Robinson would testify against LaCaze in exchange for the prosecution not seeking charges against his 14-year-old son who drove Robinson to LaCaze’s residence the night of the murder. LaCaze retained Small for the second trial scheduled for 2017. The court agreed to a $100,000 commercial bond for LaCaze because she completed numerous self-improvement courses in prison, would be gainfully employed and was not a flight risk. LaCaze had been out on bail since 2011. She has been employed for the last three years in her family’s meat pie business. Small said he and special prosecutor Hugo Holland began discussions about a settlement in October of 2017. Holland was a special prosecutor that district attorneys often hire to prosecute murder cases. Holland was hired by former District Attorney Van Kyzar for the second trial and was retained by District Attorney Billy Joe Harrington. Small said his and Holland’s meetings were “lengthy and intense” and they reached an agreement in November for LaCaze to plead guilty to manslaughter instead of the original charge of second-degree murder. After pleading guilty, she was booked into the Natchitoches Parish Detention Center and was in custody of the La. Dept. of Corrections. Harrington said at that time, the conviction was obtained after meetings and input from the victim’s family. Small said he thought several parts of LaCaze’s testimony in her first trial in 1998 would have been damaging and would have made defending a charge of second-degree murder difficult. Thus the negotiations for a lesser plea.